Persistent drought conditions have spread across the U.S. Southwest, with the Four Corners area of Arizona, Colorado, New Mexico, and Utah standing out as extremely dry. In early November 2018, more than 9 million people lived in areas of drought in those four states; another 6 million lived in abnormally dry areas, according to the National Integrated Drought Information System. The map above shows drought conditions across the United States as of November 6, 2018. 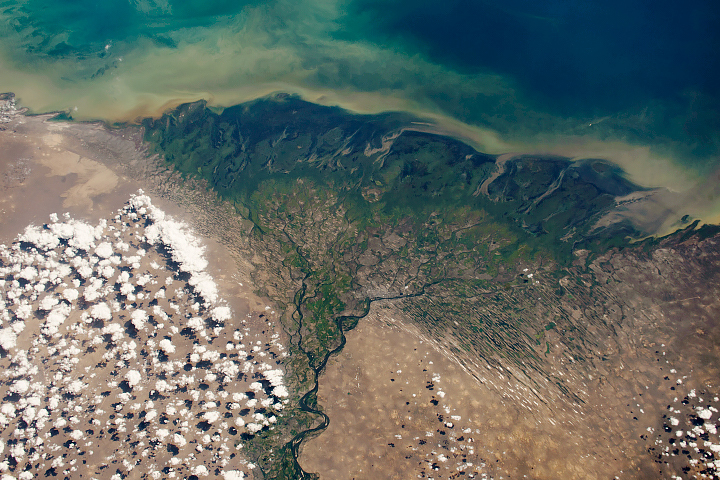 The data come from the U.S. Drought Monitor, a partnership of the U.S. Department of Agriculture, the National Oceanic and Atmospheric Administration, and the University of Nebraska–Lincoln. 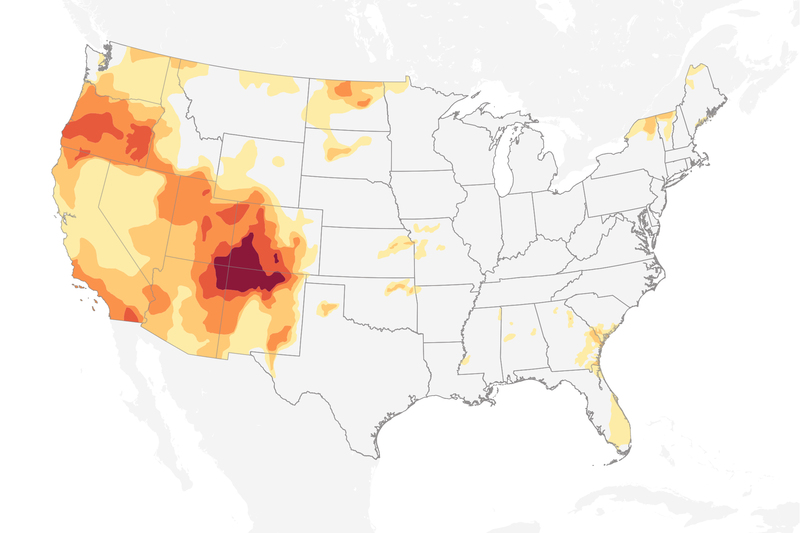 The map depicts areas of drought in progressive shades of orange to red and is based on measurements of climate, soil, and water conditions from more than 350 federal, state, and local observers around the country. 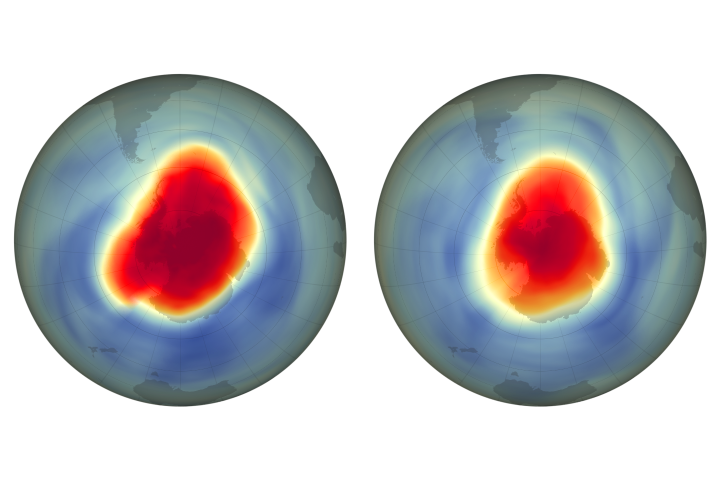 NASA provides experimental measurements and models to this drought monitoring effort. 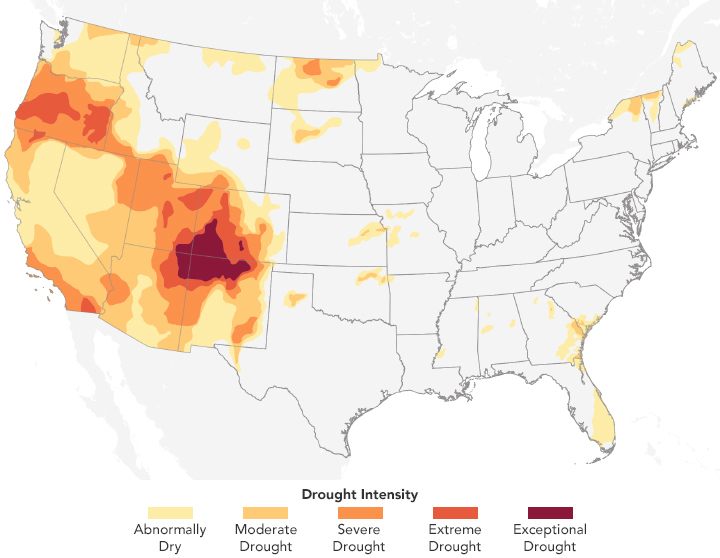 More than half of the population in New Mexico and Arizona is located in drought-stricken areas. In Utah, the entire population is dealing with drought as the state experiences its worst drought in a decade. According to the U.S. Drought Monitor, the Four Corners area has been experiencing “extreme drought” conditions since January 2018. 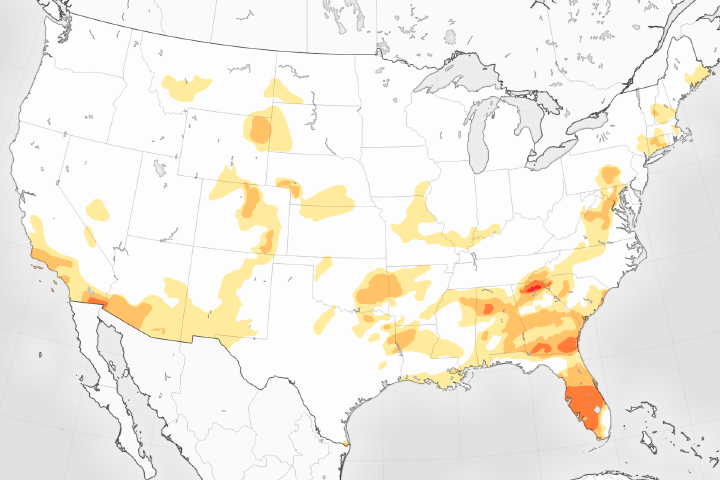 In April, drought conditions in certain areas intensified and have since persisted at the most severe level labeled “exceptional drought”—potentially leading to widespread crop losses and water emergencies. 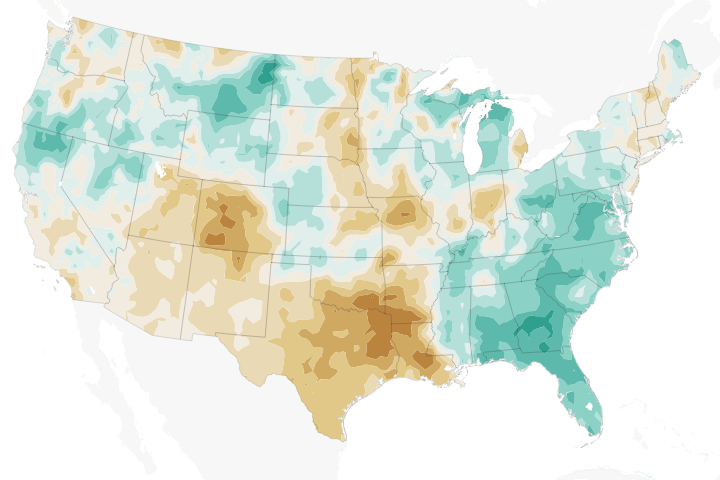 The last time the western United States had a drought this long or intense was in the 1950s, Cook said, when there were a lot less people in the region. The population has increased substantially in the past six decades, and the southwest is home to some of the fastest-growing large cities in America. As a growing number of people depend on the Colorado River for their water supply, two large reservoirs are falling and could one day spur a water shortage. Seven states have drafted drought contingency plans to manage dwindling water levels in the Colorado River Basin. But even if the region receives plenty of rainfall, warm temperatures may still affect the U.S. Southwest even after the drought passes. 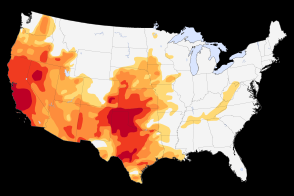 NASA Earth Observatory map by Lauren Dauphin, using data from the United States Drought Monitor at the University of Nebraska-Lincoln. Story by Kasha Patel. ABC4 (2018, September 12) Utah drought worst in ten years, prompting emergency action. Accessed November 8, 2018. AZ Central (2018, October 10) Western states release proposed agreements for drought-stricken Colorado River. Accessed November 8, 2018. 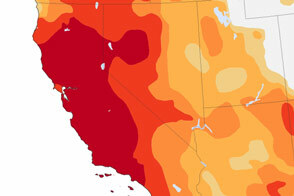 National Integrated Drought Information System U.S. Drought Portal. 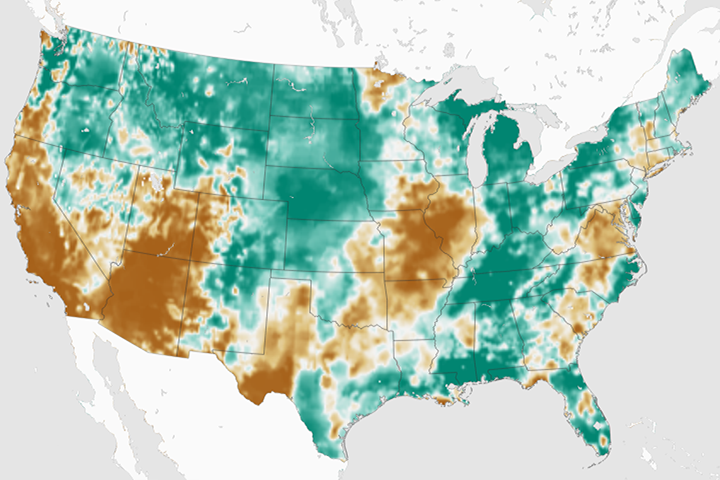 NASA Earth Observatory (2018, June 18) Intensifying Drought in the American Southwest. U.S. Drought Monitor (2018, November 8) This Week’s Drought Summary. Accessed November 8, 2018. United States Census Bureau (2017, May 25) The South Is Home to 10 of the 15 Fastest-Growing Large Cities. Accessed November 8, 2018.